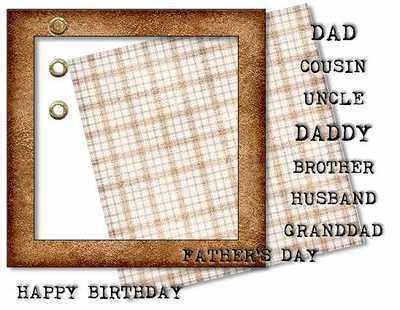 A leather frame with digi sentiments that is ideal for men's birthday cards. 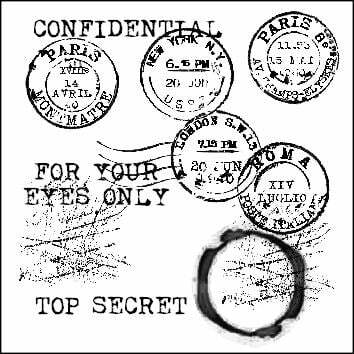 The frame is in png format, and is transparent in the centre. You can put your own backgrounds behind it, or use it as a digi photo frame. It comes with a plaid background to use if you wish. The sentiments are all in png format to use on the frame. They will give the appearance of being embossed into the leather. 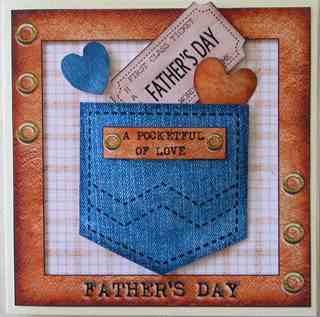 The example on the left shows the frame used with the Father's Day text and the three rivetts on either side. A line of three rivetts that will give the appearance of being embossed into the background. 300dpi png files in a zipped folder. For your personal use and selling your finished items, not to be sold as print outs or digital items.